M-Brain offers best-in-class intelligence services and software via 400+ experts located in 15 countries. We deliver value to our customers with a combination of industry best-practice expertise and in-house proprietary artificial intelligence development. M-Brain Germany is located in Essen which is a city in North Rhine-Westphalia, near the Dutch border. It has approximately 589,000 inhabitants, which makes it the ninth-largest city in Germany. Once a mining town, Essen is nowadays a modern, green and lively city. It has recently held the titles of European Capital City of Culture and European Green Capital. 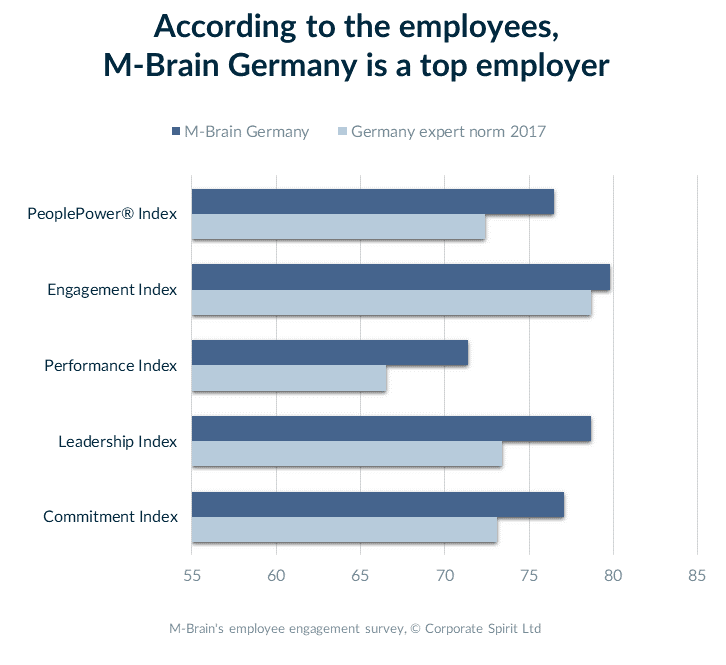 M-Brain Germany is located in Essen, which is the unofficial capital of the Ruhr area with a total population of 5 million people, making it one of the biggest urban areas in Europe. Our office is in the lively and beautiful suburb of Rüttenscheid, with excellent transport connections, cafes, restaurants and shops. We employ 25 professionals from eight different nationalities. According to the Employee engagement survey conducted in 2017, the German office scored overall well and got an AA+ rating. “I am a student at the University Duisburg-Essen, studying Global and Transnational Sociology. My role at M-Brain mainly focuses on Analysis and Research. I started working at M-Brain by helping with scheduled Analysis. Now I am focused on more extensive research for specific projects. “I work as an analyst and support the Strategy Analysis Team with comprehensive desk research to help our clients with their strategic decisions. M-Brain offers exciting and rewarding career opportunities. Please click the button below to see our current open positions. M-Brain is a global provider of workplace opportunities.